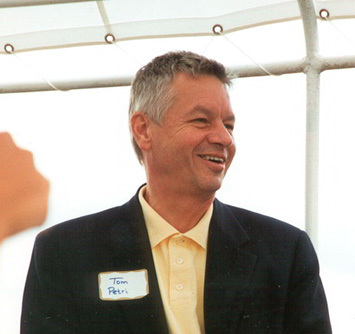 U.S. Rep. Tom Petri, R-Fond du Lac, has won 13 consecutive House races and has now held the job for a quarter century. The incumbent heads into his 14th election bid with more than $1 million in his campaign account. Democrat Jef Hall of Oshkosh and Green Party candidate Carol Rittenhouse of Franklin in Sheboygan County hope to unseat him. The 6th Congressional District includes all or most of Juneau, Adams, Waushara, Waupaca, Winnebago, Green Lake, Fond du Lac, Marquette, Calumet and Manitowoc counties and smaller portions of Outagamie, Brown and Sheboygan counties. Hall has been a Democratic Party activist in Winnebago County and was a county coordinator for Democrat John Kerry’s presidential bid. Hall, a database marketer for a J.J. Keller & Associates of Neenah, said the choice between himself and Petri is distinct. Hall said he would work to give the Medicare program the ability to negotiate lower drug costs and he says businesses should be allowed to take advantage of the government’s buying power, and its savings. Hall is a lifelong area resident who attended the University of Wisconsin-Oshkosh. He said he is hoping grassroots campaigning will make the difference in his campaign. “I want to get my name out there,” he said. Rittenhouse, 71, said she is running because she wants to leave a better world for future generations. Rittenhouse said she began thinking about those environmental issues, as well as the economy, and she thought she needed to do something. “If I don’t I’ll never forgive myself,” she said. Rittenhouse says she hopes to raise awareness and make a difference on issues. She says she believes in the ripple effect of positive action. Rittenhouse, who said she plans to live to 100, has worked in the past as a teacher and a licensed real estate agent. She now manages historic properties. 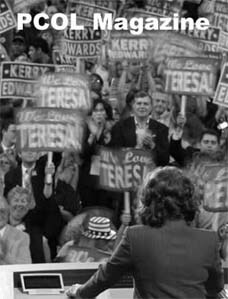 She also said she hopes to find success by running an effective grassroots campaign. She is liming campaign contributions to $100. She said she has received support from the Winnebago County Greens and the campus Greens from UWO. Petri said he took the lead on a several-year effort to expand the earned income tax credit, which he says helps low-income people. He said he has pushed the direct student loan program and he was an original Republican sponsor of national charter school legislation. Petri said he has been working for a number of years on the transportation committee to increase federal transportation dollars flowing into the state. “I worked to move Wisconsin from a donor state status to a recipient status,” he said. Petri said the U.S. needs to continue to hand over responsibilities to Iraqis. He said that while the U.S. has the finest fighting force in the world, local people with knowledge of the language and culture can do a more effective job in maintaining law and order. Petri has undergraduate and law degrees from Harvard University. A former Peace Corps volunteer and White House aide, he was elected to state Senate terms in 1972 and 1976.